You may have already heard about the four pharmacists (Kirit, Peter, Hiten and Manvir) who traveled in one car through 17 countries for charity! 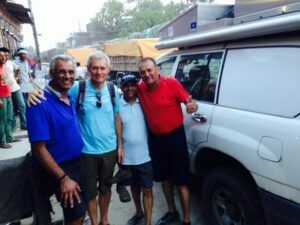 Well, now back on home turf, one of the adventurers, Peter Cattee, CEO PCT Healthcare reflects back on this adventure and shares some of his highlights with us. Why would anyone want to travel from the comforts of their English home to a country eight and a half thousand miles away by car? Not an unreasonable question! I recall the very moment when the plan was hatched – Kirit Patel and I were with our wives Jane and Nalini at The Temple of India in Varanasi, having just drawn water from the well outside on a sweltering afternoon. Inside the Temple is a huge relief map of India and on looking at the northernmost part of the country we could see, quite clearly, that it must be possible to drive through the Himalayas. By some coincidence we knew of a group who were making the same journey and as the only people who could sanction the journey happened to be together, and more importantly with us at the time, we asked our wives that evening “would it be OK if we drove back here from the UK?”, luckily for us, perhaps overtaken by the spirit of the city which is a truly unique one, they said “yes”. On a trip, which was so long and went through so many wonderful and exotic places I couldn’t really pick a stand-out moment. One that found me well out of my comfort zone was after we’d just spent twelve hours crossing the border between Kazakhstan and Uzbekistan, when, at 11pm, we had to knock at the door of the first house we came by to try to find accommodation. Knowing full well that the homeowners would not speak a single word of any language that we might understand and there could not be a hotel within 100 kilometres, amazingly within an hour we had sourced a meal and a bed for the night! We found that whenever we needed help along the way people just could not do enough to help us. That was the memory that will remain with me the longest. 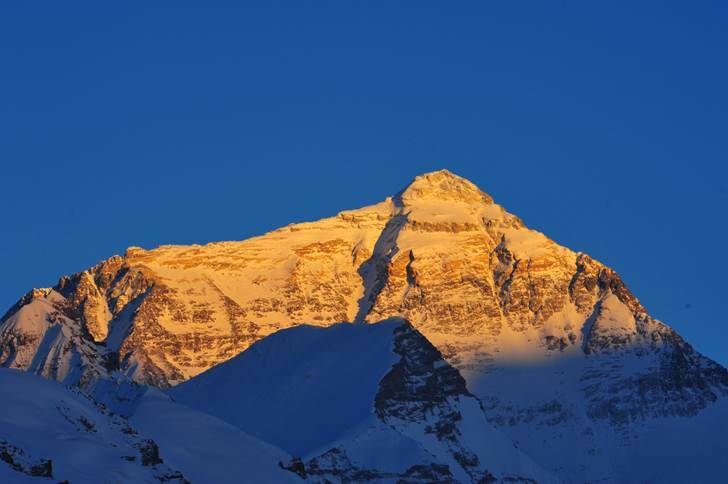 Of the sights we saw, I think that watching the sun setting on Mt Everest against a cobalt clear sky was a moment to make any human reflect deeply. The hardest part of the trip for all of us was experiencing the high altitude of the Tibetan Plain. Tibet is an exotic and relatively unchanged, at least to our untrained Western eye, part of China but much of it is very high. My experience of altitude is that if acclimatising properly you need to gain height slowly. We didn’t do this as driving makes it easy to climb fast and we swiftly found ourselves at 17,000 ft. We all suffered for this for several days. Luckily nothing of any serious nature went wrong during the trip; our vehicle was very reliable, which was probably our greatest concern. We once struggled to find diesel in an LPG only area – most of the vehicles in Uzbekistan run on this as it’s a natural producer and very cheap, but the black market saw us coming and found us easily in the end. My greatest scare was when we were camping in Kyrgyzstan high in the mountains, kilometres from anywhere. At 12.30am a car drove up the tortuous isolated path to our tents, which were illuminated by its headlights, and two doors opened slowly, then, both slammed shut. Sleeping lightly I’d woken and was now lying in my tent awaiting, well I’m not sure what, but nothing good? “I have spanners” came a faltering voice in what must have been almost his only English, “cigarettes” he added. “Leave them outside, that’ll be fine” I replied, still half expecting a gunshot, now that they’d located my position in the tent. Of course, we’d lent all our spanners to a fellow traveller some hours earlier and I’d forgotten! It took me an hour to calm down after they’d gone. We made it to India – all smiles and a little thinner than when we started. We chose Pharmacist Support because we all still owe pharmacy more than it owes us and this is a small way to help re-balance our obligation. Pharmacy is a more stressful occupation than those on the outside of it realise and we’re pleased to be able to help those who have struggled along the way. I would ask anyone reading this to give something of their time or any other resource they might have if they are able to help this worthy cause – none of us know what tomorrow will bring. 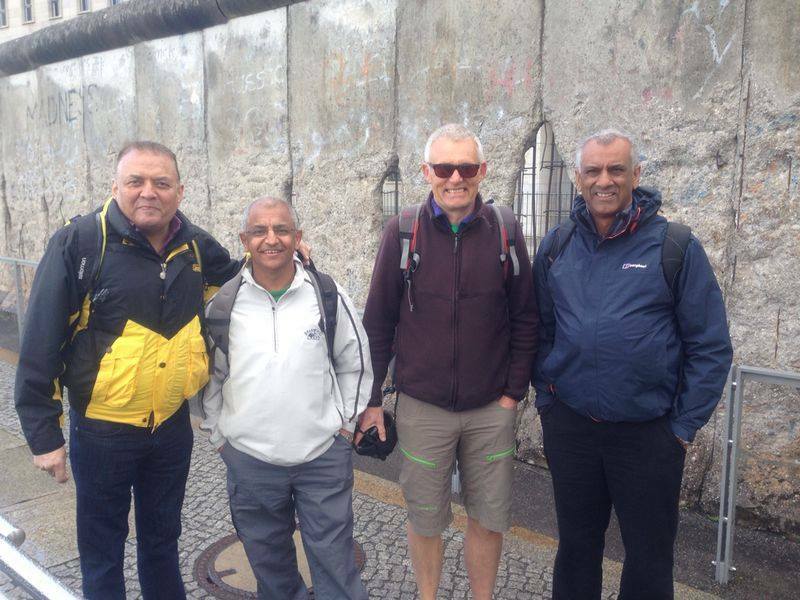 You can still support Kirit, Peter, Hiten and Manvir‘s efforts by making a donation on the groups Justgiving page.